Cheap Fish Ball Inflates - 12 Ct.
Go fish! This inflatable fish ball contains a detailed fish and underwater scene trapped inside. Makes for a great decoration for your luau or beach party. Throw them into the pool for extra fun. 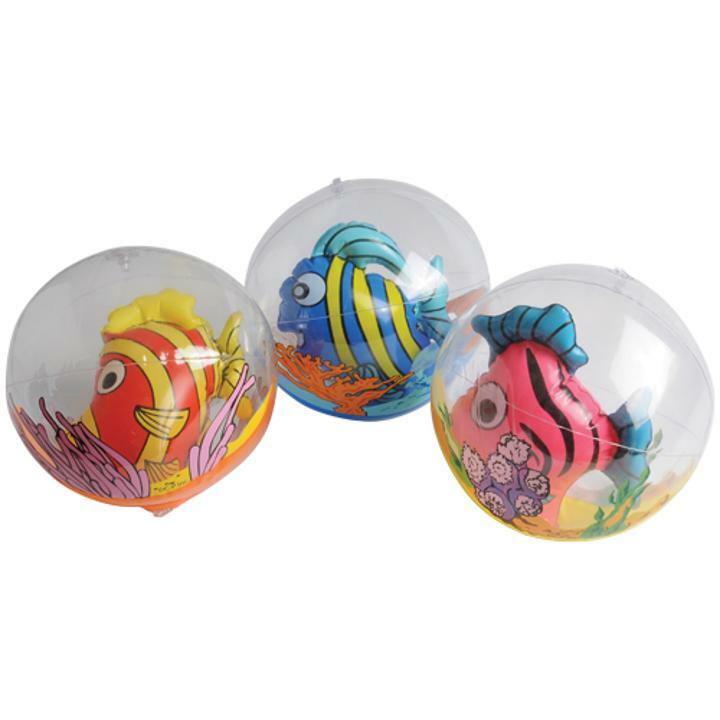 Kids will be impressed by the fish seemingly trapped inside each ball. A unique party favor giveaway. L: 9.05 in. W: 3.8 in. H: 10.3 in.